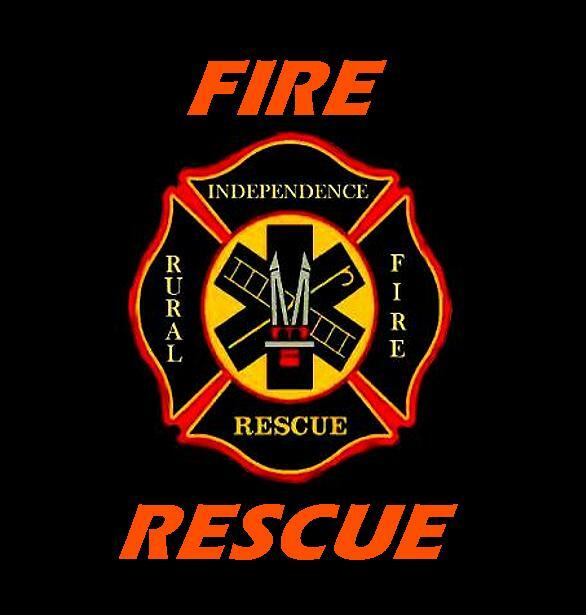 The Montgomery County Rural Fire District 1 - Independence Division, along with 6 other Divisions in the County located in Cherryvale, Dearing, Havana, Liberty, Sycamore, and Tyro, proudly protect, and serve the Citizens and Visitors of Montgomery County Kansas. We operate out of the Independence Division Station which is one of Seven Division Stations in Montgomery County that protect a primarily rural area. 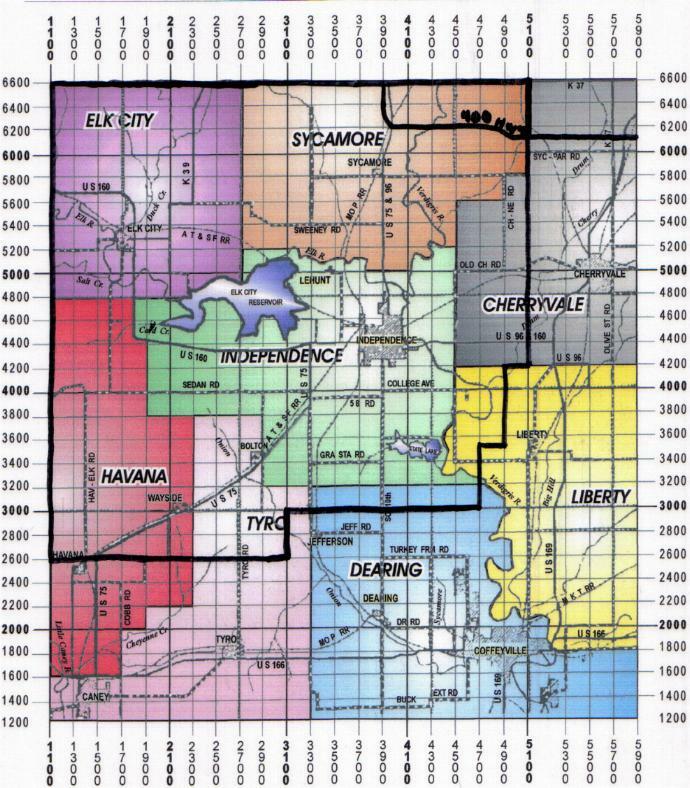 Montgomery County is located in Southeast Kansas and borders the Oklahoma State line. Our Department is a Public Department governed by a Fire Board of Trustees under the direction of the Montgomery County Commission. 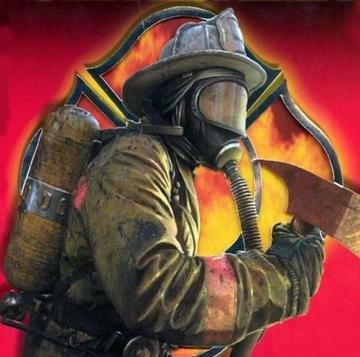 Our Vehicles include: 2 Grass Units, 1 Pumper, 1 Mini Pumper, 1 2000 gallon Tanker, and 1 Rescue Unit. We are Innovators in providing Fire/Rescue services in the northern half of Montgomery County, responding per policy with Independence EMS on all Rescue calls within their response area in the county. We also have an excellent working relationship with our neighbors to the east, Cherryvale Fire Rescue & EMS, and always look forward to the opportunity to work with them. Our Division began providing rescue services in the late 1970's, beginning with a "Jaws of Life" rescue tool placed in our station by the Montgomery County Commissioners, by Resolution, after riding around and collecting dust in the trunks of various patrol cars. 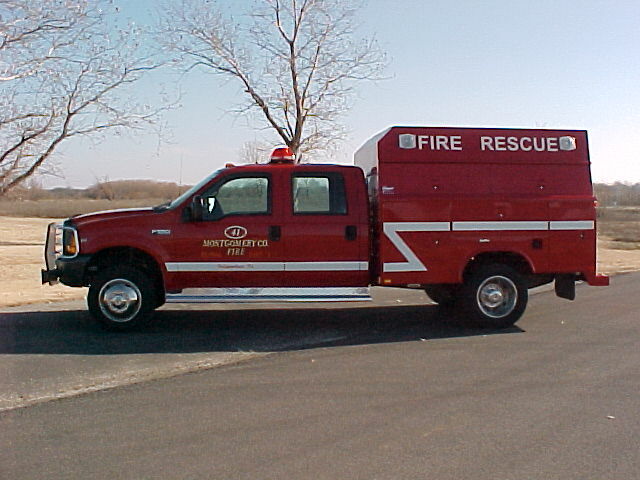 In 2000 the Fire District Board upgraded our rescue truck to a 1 ton Ford F550, and we have since replaced the original "jaws" through funding from donations, and have added a complete air bag rescue lifting system, as well as a complete vehicle stablization package, plus a manual hydraulic ( porta-power ) jaws set. Our latest additions are an on-board AED (Automated External Defibrillator) donated by the Independence Lions Club, through the Mercy Foundation, a Thermal Imaging camera purchased through a grant through the DOJ, 2 cameras were placed in the district, 1 at Independence, and the other at the Dearing Division, also in July of 2006 through the grant from the DOJ, 5 more thermal image cameras were added, bringing the total to 7, one each for our 7 division stations. A new power plant to operate our hurst tools was placed on our Rescue unit by the Independence EMS, along with a full air lifting bag system, and a portable generator for lighting. In 2005 The Fire Board, along with the City of Independence, purchased a complete set of rescue cribbing to be placed on our rescue truck. In July of 2006 our division, through private donations added a rescue camera capable of infrared imaging that can be used in mutli-rescue situations including underwater viewing. With continuing upgrades over the years, and also through generous and private donations, as well as hundreds of hours of training, we have grown to be one of the top ranking Rescue providers in Southeast Kansas. Special Thanks goes out to David Cowan - Director of Independence EMS, and Staff, The City of Independence Police Department - E-911 Dispatch and Staff,the City of Independence, and the Independence Township Board for their Support to our Division in the Rescue portion of our Station. Click Here to listen to the National Weather Service in Wichita, Ks. Sorry, but your browser doesn't support JAVA. For this presentation is required JAVA enabled browser. Law Enforcement, Fire, EMS, Working together to serve you.